The best thing I can say about Topher is his personality. Not far behind is how intuitive he is about reading a crowd. 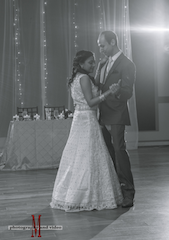 He was able to shift the dance party from tender and emotional, to crazy dance party, to nostalgic blast, to tender slow dances all without missing a beat. He brings his owns lights, and they really help to set the mood. Another plus. He was so good that we had several, and I mean several friends tell us how amazing the music and DJ we're. He directed the pace and flow of the night beautifully from our introduction, to the speeches to the dancing, all without imposing too much of his own personality, which I've seen many DJ's do. Also, my cousin was so impressed he decided to book Topher for his own wedding. You can't go wrong with Topher hosting any event of yours. Topher was hands down the best DJ we could've asked to have at our wedding. He is so easy to work with and so fun. Everything went off without a hitch. No awkward silences, no static on the wireless mics, and best of all- he got the party started and kept it going without once playing any of the tacky line dance songs (cupid shuffle, wobble, etc.). The atmosphere was perfect every step of the way. He is such a great DJ and I would trust him with any of our events and would recommend him to anyone looking for one. Topher was our DJ for our wedding day and we absolutely loved him! He went above and beyond. The music was great and everyone had such a great time at our reception. I had asked him to start the song we used for bridal party to walk down the aisle at a certain spot in the song and he was so on point with it! He was very professional to work with and also just extremely helpful on our wedding day. We would recommend him to anyone looking for a DJ especially for weddings! I would use him again any day :)!! Thank you so much for being a part of our day!! We had a charity event and Topher was our DJ for the night...what a blast...he showed up early to set up and played great music all night...we all danced the night away...we will definitely have him back again next year and for other events...also he was pleasant, well dressed and very professional...a big plus for our high-end event! My husband and I did things a bit non-traditional and eloped. We really wanted something for just us but, then shared our celebrations with our friends and family at a big party at a local brewery. Cue Radial Entertainment. They did an amazing job at our party! We had a few song selections picked but, left the majority of the songs and style up to him. He did all the announcements for us, played all the songs we wanted and got everyone dancing and having a good time! I love that he spins vinyl too and brings some lighting to really liven up the place! I would highly recommend Radial Entertainment to anyone needing a DJ. We got married on October 15th and our DJ KILLED IT! My family is from the Middle East and my wife is from the US so we were looking for somebody who could blend Arabic and American music. Topher did it seamlessly. He did everything from Arabic wedding music to 80's, 90's and top 40. He set up a wireless speaker so the patio could hear the music and announcements as well. The part that impressed me the most was his communication. He made things so easy and truly did an exceptional job. I would recommend him for any occasion! First off, people danced at our wedding reception from start to finish-- the dance floor was packed the entire night. That alone sings the praises of a talented DJ who knew exactly how to help people have a good time and keep them on the dance floor. Many our friends commented on how fun our reception was specifically because of the dancing. Working with DJ Ryan and Topher at Radial Entertainment was easy.. Sound quality was amazing. We highly recommend! Topher was fantastic! He was very professional and accommodating! The perfect compliment and mix of songs because the bride and groom have total opposite taste in music! We met with Topher before and got to hear some of his music / witness his amazing DJ skills - and we were instantly sold. He was amazing to work with and we are so happy he was a part of our big day. He kept everyone on their feet during the reception with great music (the perfect mix - oldies, newer songs, mashups - it was so unique and it felt like it was our "own" wedding playlist made just for us), and he ensured everything ran smoothly from the ceremony til we were out the door. We could not have asked for a better DJ/MC! He nailed it. Kept the mood up, was fun, and had great energy. This is 1000% the DJ you would hope to get for your wedding. You will not be disappointed with him. Book asap cause he gets booked quick. Thank you so much Topher!!! Would highly recommend Topher as your wedding DJ. He really knows how to get a party started and going all night long! The reception was the highlight of my wedding thanks to Topher. 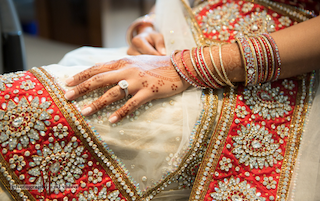 I had a multicultural wedding and had requested some indian and Arabic songs to be played as well. He was able to seamlessly incorporate this music and everyone of all ages were dancing. He has a wide and diverse playlist and the caliber of music and skills is top-notch! Our wedding reception was a huge success because of one person: TOPHER! Topher was our man the night of the wedding, and he absolutely MADE the night! 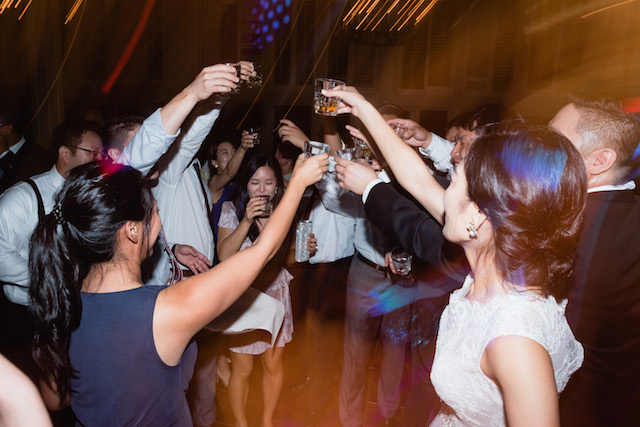 We are huge music lovers so pre-wedding we gave him a pretty hefty list of "must-play"s and not only did he hit all of them but he filled the reception with amazing songs of every genre and had us and all of guests dancing all night...I mean EVERYONE! From my 80 year old grandmother to our 5 year old son! Literally every single person at the wedding was dancing early on, which was incredible. My grandparents, who I have never seen dance before, were out on the floor beaming. Topher had an incredible sense for what to play next to keep people coming back out. It was the best dance party of my life. Would hire them again in a heartbeat. 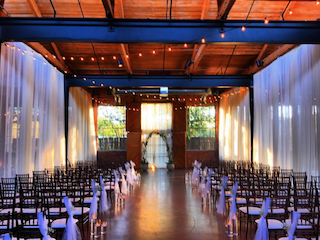 We met with Topher and explained our vision of a "non traditional" wedding celebration, provided him some guidance, but really let him do his job. Topher knocked it out of the park and turned our wedding into everything we had hoped and dreamed it would be! He had everyone on the dance floor the entire night with our guests not wanting the night to end! Thank You!